On 23 February 1969, the groundbreaking history series 'Civilisation: a personal view', with presenter Kenneth Clark, was broadcast for the first time on the BBC’s new second channel BBC2. Documenting a thousand years of history of western European art and architecture, society and thought from the Dark Ages to Concorde’s first flight, the landmark documentary series was not only the first documentary series produced in colour, but also changed the face of television presenting forever. The series inspired a model for television documentary programmes that was subsequently used successfully by David Attenborough, Alistair Cooke and Jacob Bronowski among others. Now, to mark the fortieth anniversary of the first broadcast of 'Civilisation', a short season of screenings, talks and a symposium, organised by Dr Jonathan Conlin, lecturer in Modern History at the University of Southampton, is revisiting the programme to consider its legacy and provoke debate about current trends in history broadcasting. Leading television presenters David Attenborough, Simon Schama and critic AA Gill are launching the season with a day of discussion and clips exploring the programme’s legacy to today’s presenters, critics, curators and viewers and discussing current trends in history and art broadcasting. They will be joined by historians and producers who will share their ideas and impressions of what the television milestone means today at the National Gallery in London on Saturday 21 February. Jonathan says: “Civilisation was a television milestone: it had a massive impact in the UK as well as in the US where it helped launch PBS – the Public Broadcasting System. 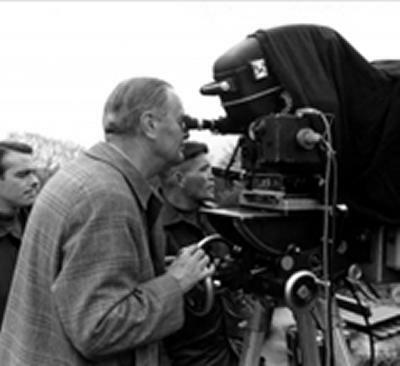 In ‘Lord Civilisation: a celebration of Kenneth Clark’ two screenings at the BFI Southbank on 23 and 26 February will showcase highlights of Kenneth Clark's broadcasting career before Civilisation, including his role as Chairman of the Independent Broadcasting Authority and the many programmes he produced. “Whether you love Clark or loathe him, these films reveal his pivotal role in broadcasting history, from wartime propaganda through the birth of ITV and the arrival of colour TV,” comments Jonathan. After the screening on 23 February Jonathan will be in conversation with Matt Collings, presenter of This Is Civilisation and Matt's Old Masters. There will also be free screenings of all thirteen episodes of Civilisation at the National Gallery's Sainsbury Wing Theatre on Wednesdays at 1pm, starting on 25 February and continuing throughout March and April 2009. Jonathan Conlin has also written a book on the series commissioned by the British Film Institute for its TV Classics series. Civilisation includes interviews with the original crew and argues that the series presents a more complex view than critics have allowed. The book is published by Palgrave Macmillan.